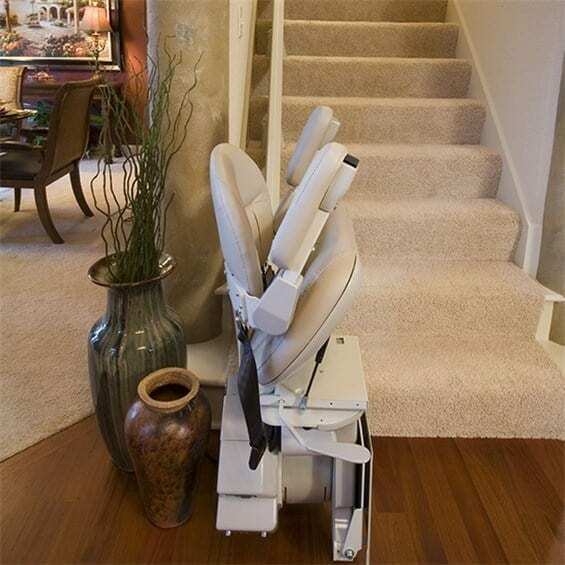 With superior styling and Made-in-America craftsmanship, Bruno's Elite straight indoor stairlift safely connects you to all levels of your home. 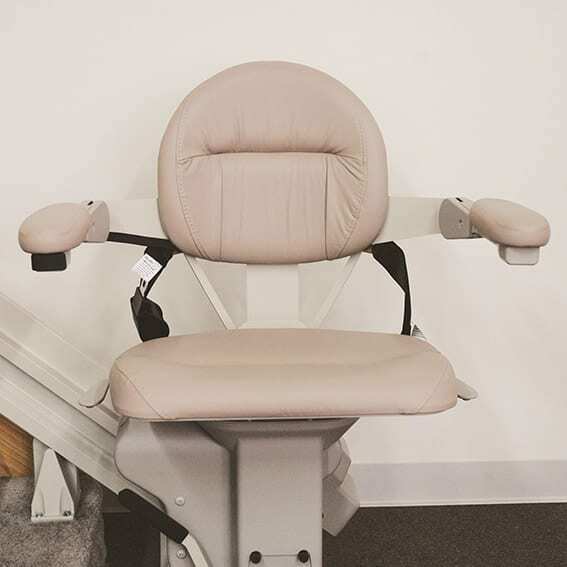 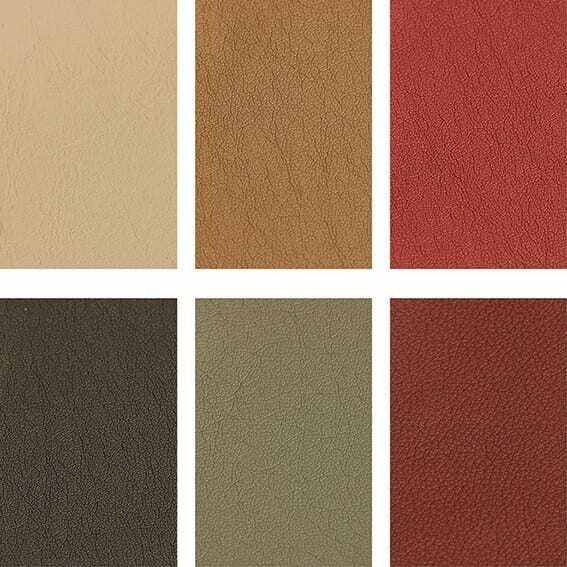 Enjoy easy operation and a stable, quiet ride combined with a luxury-quality chair. 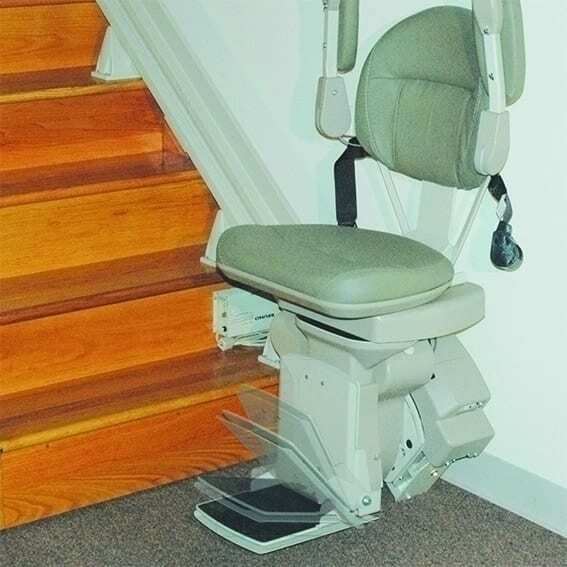 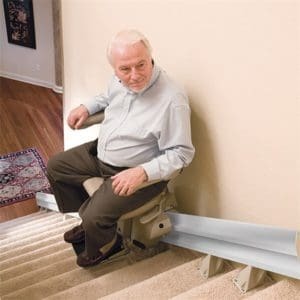 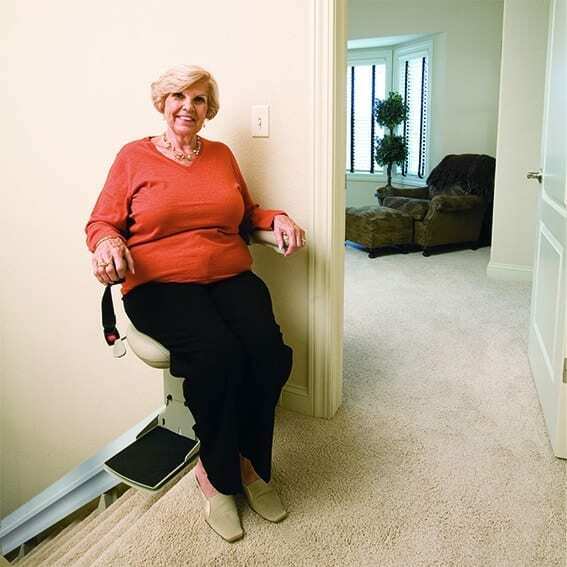 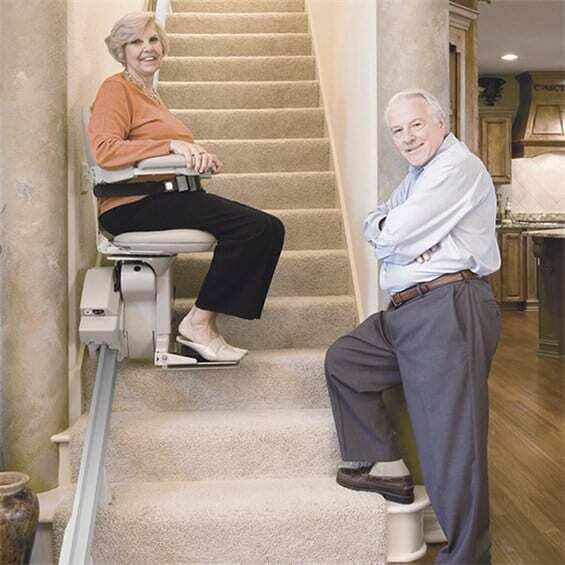 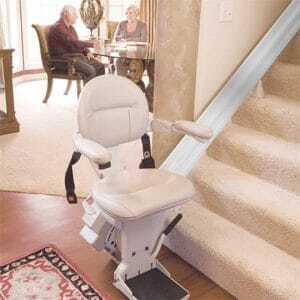 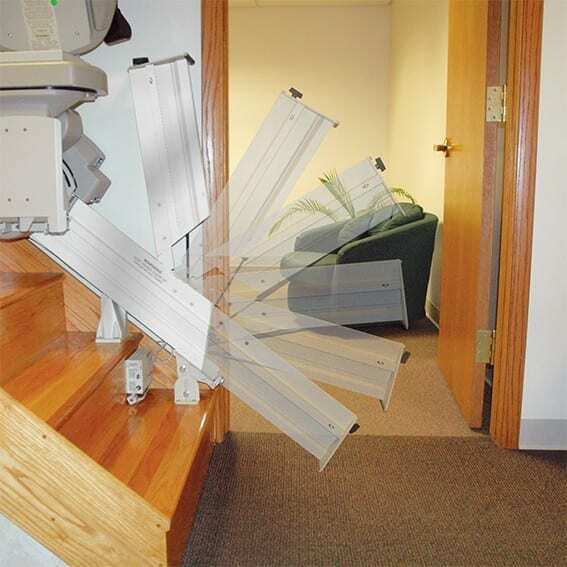 With a compact design that installs close to the wall, the Elite chairlift allows plenty of extra room on the steps. 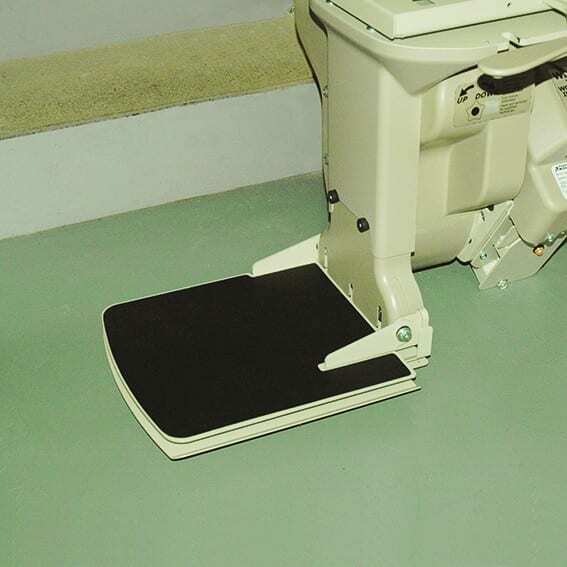 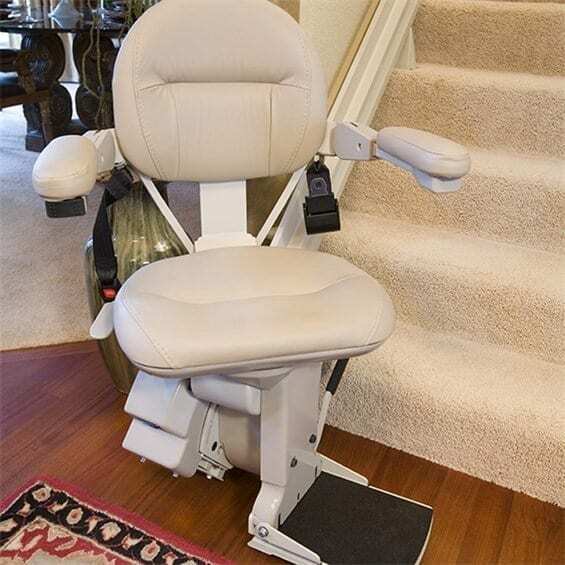 The Elite stair chair's 400 lb (188kg) lift capacity ensures plenty of power for dependable performance. Manual operation or push-button automatic.